Patients undergoing total hip replacement surgery have a 400 percent increase potential of developing a hemorrhagic or ischemic stroke within the first weeks after their operation. Information provided in the journal Stroke, by the American Heart Association, indicates that the risk of stroke was significant within the first two weeks, which dropped off only 6 to 12 weeks later. The study indicated that it took one year for the potential risk of a stroke to be comparable to individuals not undergoing hip implant surgery. The information was accumulated in the Netherlands from approximately 66,000 patients who had undergone total hip replacement surgery. 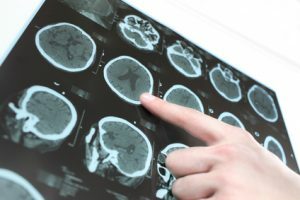 The study evaluated their potential risk of a stroke based on individuals not having the procedure. The data indicated an increased potential of an ischemic stroke within the first six weeks postoperative, and an increased risk of developing a hemorrhagic stroke up to 12 weeks. This news was important because of the latest advancements in hip implant technology, and its increased popularity as an elective surgery. Hip replacement system manufacturers including Stryker, Zimmer, Smith & Nephew, Biomet and others are marketing their devices to younger, more active, individuals as a way to gain increased mobility and flexibility. Unfortunately, hip replacement operations are performed on hundreds of thousands of individuals worldwide every year. This indicates that approximately two percent of all hip replacement patients will suffer a life-threatening ischemic or hemorrhagic stroke within the first few weeks following their surgery. Due to the increased potential of developing a stroke, many surgeons are prescribing blood thinning medication as a way to lower the risks. More studies need to be done to see if prescribing anticoagulant medication before the surgery is beneficial, without causing other significant risks to the patient including bleeding out during the procedure, caused by thinning blood. An ischemic stroke often occurs due to an obstruction in the patient’s blood vessel that supplies oxygen-rich blood to the brain. A blocked artery can cause instant death of brain tissue when nutrients and oxygen are obstructed from entering the brain and cellular waste and carbon dioxide cannot be taken away. Even just a few minutes of a blocked brain artery event can cause brain cells to die. When a stroke occurs, immediate medical attention is crucial. Cerebral Thrombosis Stroke – A cerebral infarction or thrombosis can occur in both the small and large vessels of the brain. It is often the result of damaged or diseased cerebral arteries blocked by blood clots forming within the brain. Embolic Stroke – These emboli (clots) form outside the brain before traveling through the bloodstream and becoming lodged in a brain artery. They can cause nearly instant neurological and physical deficits. Anyone that is being advised to consider hip replacement surgery needs to carefully weigh all the advantages and disadvantages of the procedure. While the surgery might improve quality of life and reduce significant pain, the associated risks of developing a stroke are substantial. Based on studies, some doctors prescribe a daily regimen of aspirin before surgery, to minimize the potential of ischemic stroke. However, no studies indicate that aspirin has any effect on minimizing the potential risk of developing a hemorrhagic stroke in the first 12 weeks after surgery. In addition to the increased potential of a stroke, many hip implant systems have been recalled from the marketplace due to causing other medical problems. Hip replacement system manufacturers including Zimmer, Stryker, Depuy, Biomet, Smith & Nephew, and others have recalled many of their implants due to serious complications arising from the surgery. While most implant devices were designed to last 15 to 20 years, many have failed after just a couple of years following implantation surgery. Other issues involving hip implant systems include serious infections, extensive nerve damage (foot drop), material corrosion & fretting, femur fracture, metallosis (metal toxicity), dislocation, change in leg length, loosening and more. Most implant manufacturers sidestepped extensive testing procedures before bringing the hip implants to market. As a result, many patients have sued the manufacturer as a way to seek financial compensation for their damages, loss, pain, and suffering. Even though the prosthetic hip joint was designed to last for more than a decade, the complications brought on by defective devices often require immediate revision surgery. The second hip replacement procedure increases the potential of developing a serious risk of stroke caused by a hemorrhage or blocked artery. Before making any decision to have the initial surgery, it is important to consider all options and have a discussion with your doctor on all the potential risks involved in your case.